Not sure where to begin looking for the best hostels in Santiago? While there are many Santiago hostels to pick from not all of them are created equal. We’re here to help you pick a great Santiago hostel to help make your visit even more memorable! 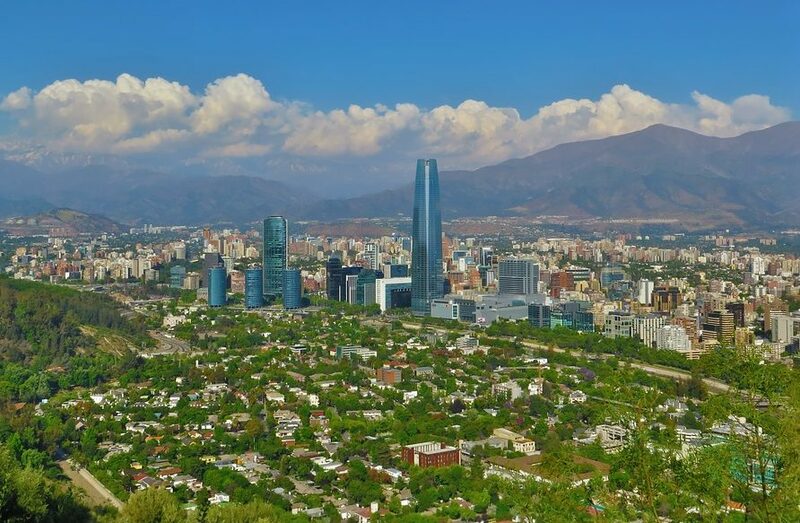 Santiago is the bustling capital of Chile, and is situated in a valley surrounded by breathtaking views of the snow capped Andes mountains and the Chilean Coast Range. 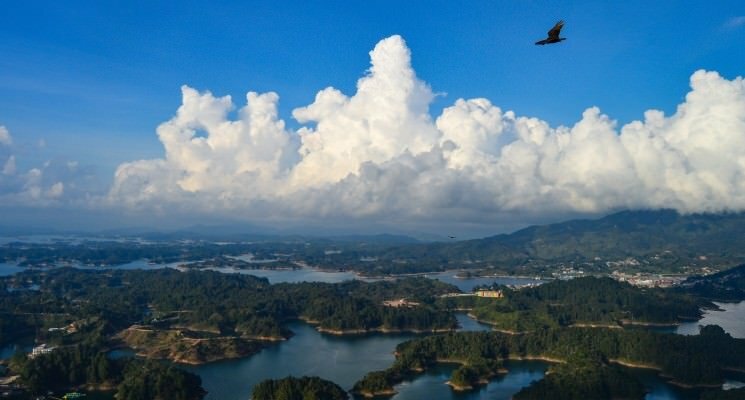 It’s a spectacular meeting point of urbanization and spectacular natural beauty. 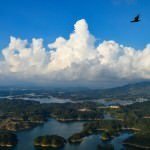 Santiago used to have a bit of a bad reputation, but these days the city has cleaned itself up and is known for its fascinating historical, cultural, and artistic scenes. There are plenty of attractions, museums, and activities to keep you busy during your time in Santiago. One of the things you must do is take the funicular up to San Cristobal hill where you’ll find a giant statue of the Virgin Mary and views that’ll blow you away. The Plaza de Armas is the heart of the city, and home to two of the city’s neoclassical landmarks: Palacio de la Real Audiencia and the Metropolitan Cathedral. The well known South American poet Pablo Neruda called Santiago home, and you can visit his old abode which has been turned into a museum. There are plenty of markets, shops, restaurants and bars where you can find traditional Chilean food and drink. Santiago is renowned for its incredible nightlife, so you can stay up until the wee hours dancing until your feet get sore. Get out and explore Santiago’s barrios (neighborhoods) which all offer a unique take on the Chilean lifestyle. If you want to meet fellow backpackers we recommend staying in the Bellavista area. It’s a backpacker hot-spot where you’ll meet people from all corners of the globe coming together in this lively and artistic neighborhood. 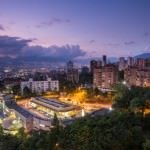 We have put together this list based on what we personally expect out of a great hostel in Santiago. Clean rooms, comfortable dorm beds with power outlets, secure luggage storage, friendly atmosphere that encourages interaction (but doesn’t force it), and a communal kitchen are all super important aspects of a good Santiago hostel in our eyes, and we prioritize them when suggesting a place to stay. All of these are factors when it comes to making our selection of the best hostels in Santiago, Chile. Hostal Forestal is one of the best hostels in Santiago if you’re looking for a central location and affordability. Situated just a short walk from the Bellavista area of the city, the main backpacker hub, there are plenty of bars, restaurants and nightclubs to keep your schedule full. You can enjoy easy access to public transport, but most of the city’s main attractions are within walking distance if you prefer to discover the city on foot. This Santiago hostel has a cosy vibe where you’ll feel right at home. Rooms are basic but provide everything you need for a good night’s sleep, with comfy mattresses, safety deposit boxes and power outlets for each guest. A delicious breakfast is included in the cost of your stay, so you can energize yourself for the day ahead. If you’re looking for a hostel where you can relax and enjoy some quiet time to recuperate, then this is the perfect place for you. It may not be the most social hostel, but the staff are really friendly and there are communal spaces where you can hang out and meet other guests. We highly recommend Hostal Forestal if you want to find a tranquil space in the hectic Chilean capital. Merced 88 is a concept hostel that embodies the Chilean way of life through its colors, flora and fauna. Situated in a conservation building, Merced 88 represents the distinctiveness of Chile’s environment, and all the life it supports. Throughout the hostel you’ll find wall murals depicting scenes of forests, mountains and native wildlife. This large Santiago hostel provides plenty of communal space where you can swap stories and exchange ideas with other travelers. Merced 88 offers dorm rooms for up to 10 people, as well as female only rooms. You’ll have everything you need in the dorms, with comfortable beds, power outlets and secure lockers to keep your valuables safe. A delicious breakfast is included so you can fill your stomach for the day of sightseeing ahead of you. Rooms at Merced also allow for spectacular views of the city, and you can watch as the sun goes down and the city begins to light up. The hostel is ideally located for exploring the city, close to the Baquedano subway and the Plaza Italia. Merced 88 is a fantastic place to base yourself for your Santiago adventure. 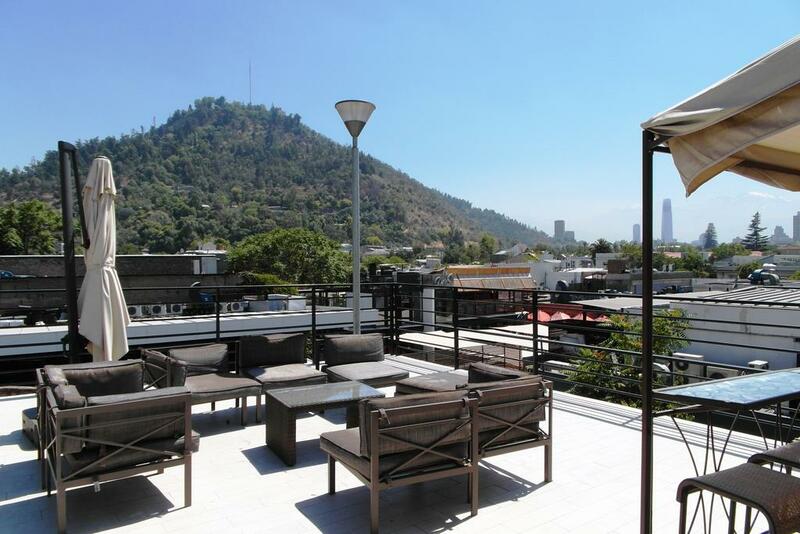 Check out the rooftop terrace for breathtaking views of Santiago! La Chimba is one of the best party hostels in Santiago, and the ideal place to stay if you want to experience Santiago’s lively nightlife scene. Situated in the Bellavista area, bars and clubs are right on your doorstep, and with guided outings you’re sure to find the best spots as recommended by locals. If you want to party with like minded backpackers while staying in Santiago this is the place for you! This modern and lively Santiago hostel is filled with contemporary decor that gives the place a youthful vibe, perfect for backpackers. The rooms are housed in different buildings, all of which are connected through the labyrinth of paths winding through the outside patios and courtyards. They offer dorm rooms for up to 9 people, as well as female only dorms. Guests will have every comfort you’d expect, with security lockers and power outlets for every bed. 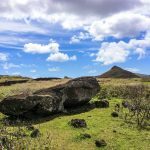 There are plenty of outdoor spaces to mingle and drink an ice cold beer or two before heading off to join in on one of the many activities hosted by the staff. There are two fully equipped communal kitchens in this awesome party hostel where you can store and prepare food. There’s even an art gallery on site, where they exhibit works from local Chilean artists. La Chimba organizes free walking tours daily, where you can learn about Santiago’s fascinating history from an informed guide. There are plenty of pub crawls to join in on that explore Bellavista, and the most famous Santiago’s Pub Crawl tour leaves from just across the street. Don’t let the lively party vibe put you off, it’s not too crazy! There are plenty of spaces where you can go if you want to avoid the party atmosphere and relax in silence instead. A fantastic atmosphere, ideal location and great facilities are just some of the reasons why La Chimba earns a spot on our list of the best (party) hostels in Santiago. 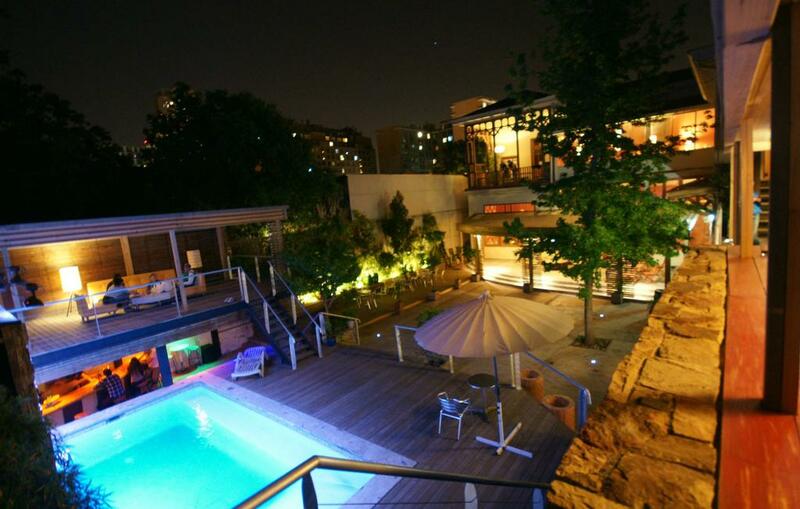 Located right in the center of Santiago’s lively central hub, Rado Boutique hostel is one of the best boutique hostels in Santiago for travelers who want to sleep in style. 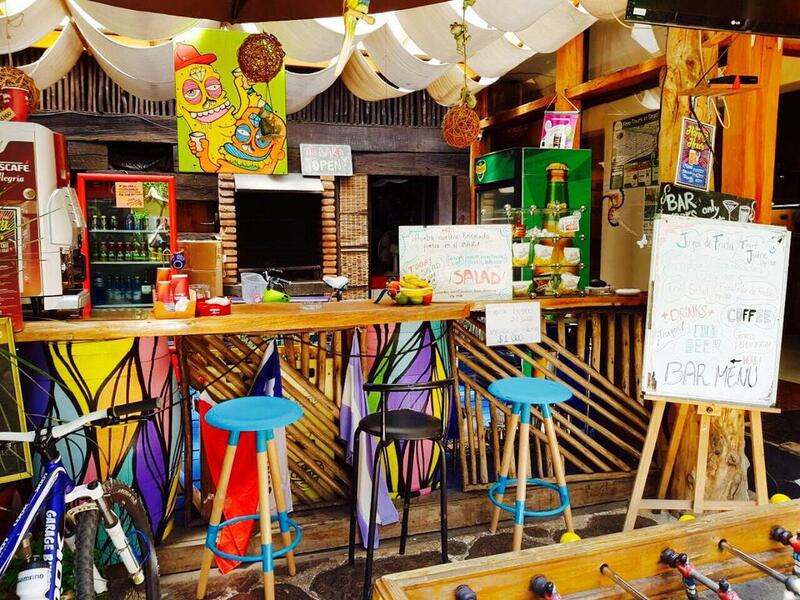 Situated in the heart of Barrio Bellavista, this boutique hostel is surrounded by amazing restaurants, bars, and plenty of nightclubs. Just some 200 meters away you’ll find the Patio Bellavista, Rio Mapocho and Parque Foresta, and the city’s main metro station Baquedano is just a 5 minute walk away and connects you to the whole city. Rado Boutique’s private rooms have the feel and comfort of hotel rooms, but there is ample space in the hostel for socializing and meeting fellow travelers if you so desire. Each room is air conditioned, which you’ll seriously appreciate on hot summer nights! They’re modern and comfortable, providing you with everything you need for a great night sleep. Each is decorated with stylish prints of music icons in pop art style. This Santiago hostel’s common areas include a communal kitchen for preparing and storing food, a computer room for planning your next journey, and terraces where you can take in the views of the neighborhood and enjoy the last of the evening sun. All of this makes Rado one of the best hostels in Santiago, Chile! 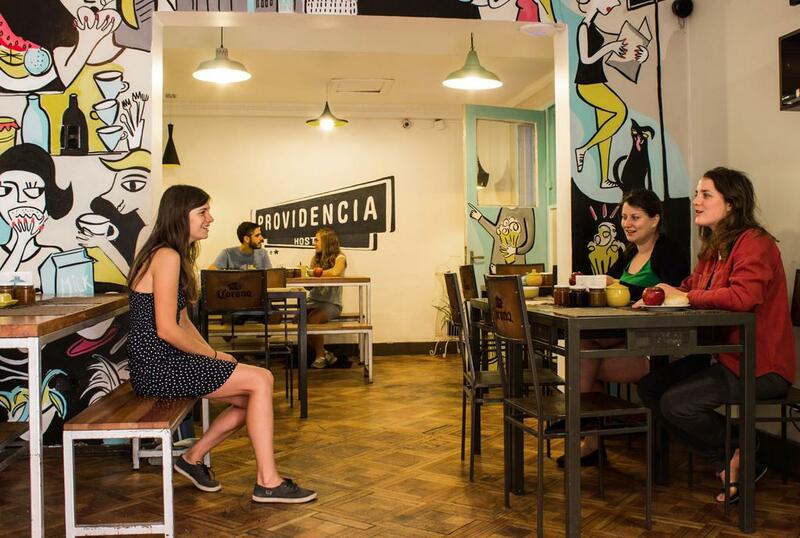 Hostal Providencia has a lively, youthful atmosphere and offers all the great features you’d expect from one of the best hostels in Santiago. 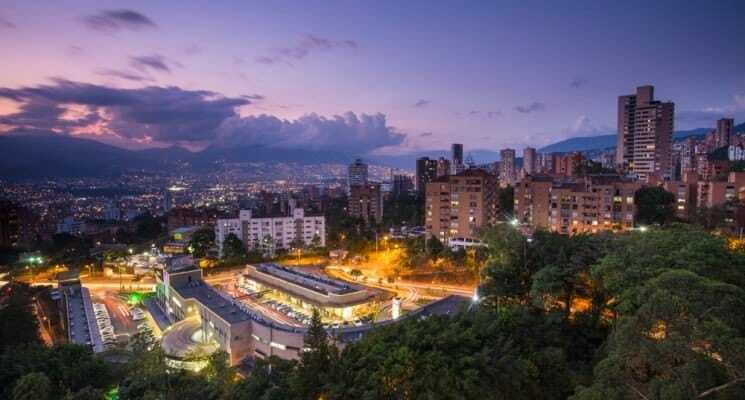 Situated in the heart of Santiago, within 5 minutes you can reach the Plaza Italia as well as the bustling Bellavista neighborhood where you’ll find plenty of shops, restaurants and unbeatable nightlife. 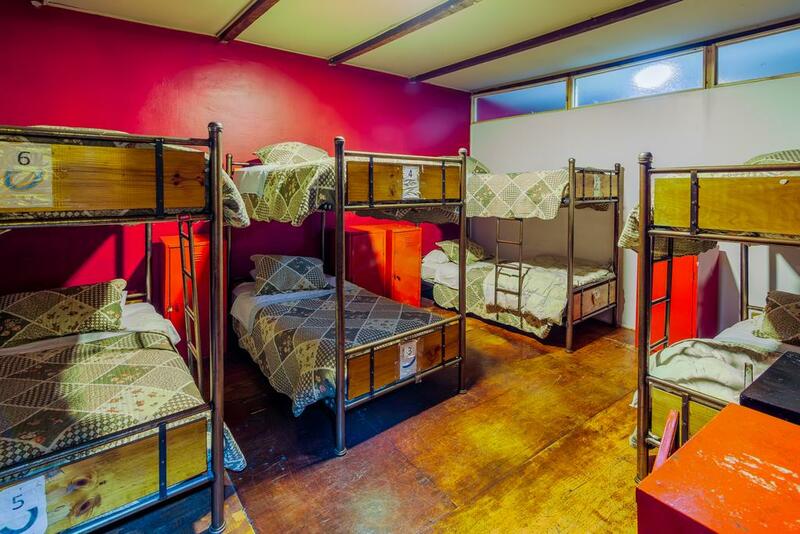 This Santiago hostel offers mixed dorms, female only dorms, and private rooms for affordable prices. They’ve been designer with travelers in mind, and provide all the comforts that a great hostel should. Each guest has access to a power outlet for charging their phones/laptops, a safety locker and reading light. A delicious buffet breakfast is also included in the cost of your stay. The staff often host activity nights including pasta and wine nights, fajita nights, and ‘terremotos’ nights where you can sample this traditional Chilean drink. Guests can enjoy the hostels facilities including a bar, patios, and a book exchange. The staff are super friendly and always willing to let you in on some of their secrets about the city, and provide information about trips and tours. The Princesa Insolente hostel is one of the best hostels in Santiago for its social, safe and female friendly atmosphere. 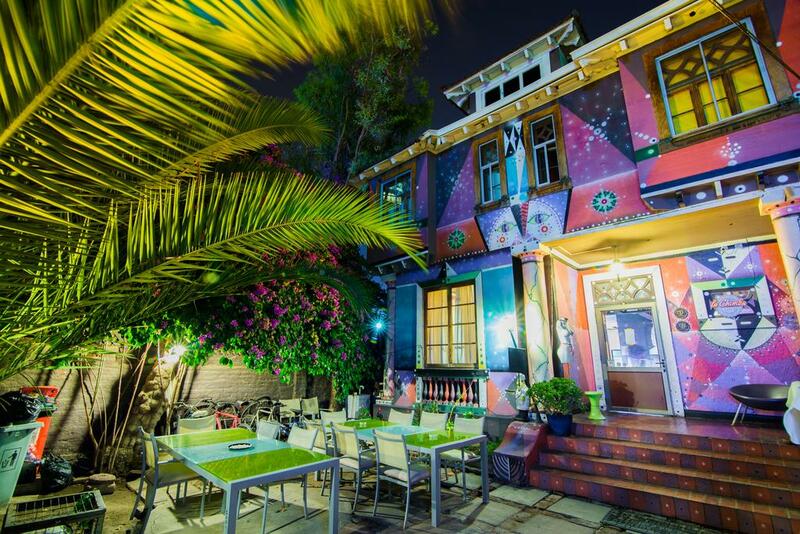 This colorful Santiago hostel is the perfect place to relax and energize yourself before the next leg of your journey. Travelers from all corners of the globe can come together here to experience true Chilean culture and hospitality in a modern and safe hostel. You can choose from private rooms or mixed dorm rooms at this awesome and budget friendly Santiago hostel. Each room has a private bathroom, so you won’t have to worry about long queues for the shower in the morning. You’ll have access to a power outlet, reading light and locker for storing your valuables. There are plenty of communal spaces to relax in, including a bar and an outdoor courtyard where you can chill out and read a book or socialize with fellow travelers. Located in the historic Brasil neighborhood, The Princesa Insolente is ideally located for exploring Santiago off the beaten path a bit and getting a taste for how the locals live. While this is not the most centrally located Santiago hostel you will find downtown is just a 15 minute walk away, and the hostel is well connected with metro lines for getting out and experiencing all that Santiago has to offer. 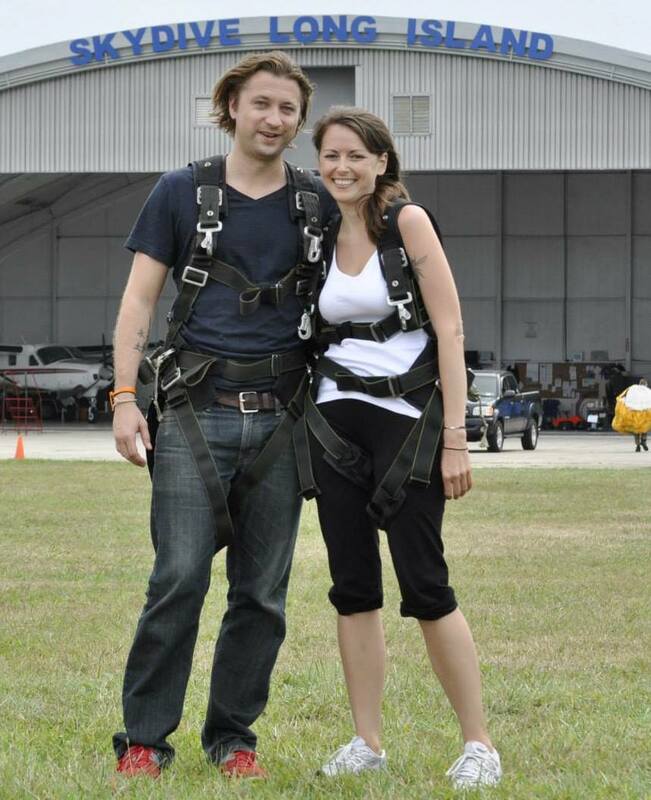 The owners are extremely friendly, and happy to welcome you to their home. The cosy boutique style of this hostel means that you’ll feel comfortable at all times, and you’ll get a taste for the real Chilean lifestyle. Breakfast is included if you choose to stay in a private room, and available for a cheap price for those in dorms. Bellavista hostel is one of the best hostels in Santiago for travelers who enjoy a social atmosphere without compromising on a good night’s rest. Located in Santiago’s hippest neighborhood Bellavista, a backpacker hot-spot, there’s plenty to see and do in the surrounding areas. Filled with bars, restaurants and clubs you won’t have to stray too far from home to get a taste of real Chilean culture. You’ll find plenty of organized activities to join in on at this Santiago hostel which will make meeting people a breeze. Bellavista hostel hosts free walking tours, BBQs, pub crawls, movie nights, and much more. Their sister hostel La Chimba is one of the best party hostels in Santiago and a great place to go to experience the city’s non-stop nightlife. Bellavista offers mixed and female only dorm rooms, which are modern and spacious, and provide everything you need for a comfortable stay. Each guest has access to their own secure locker and power outlet. A light breakfast is included in your stay at this cool Santiago hostel. There’s a fully equipped communal kitchen if you want to save some dollars by preparing your own dinners. There’s also an outdoor terrace and communal area with a foosball table for when you want to take some time out to relax. 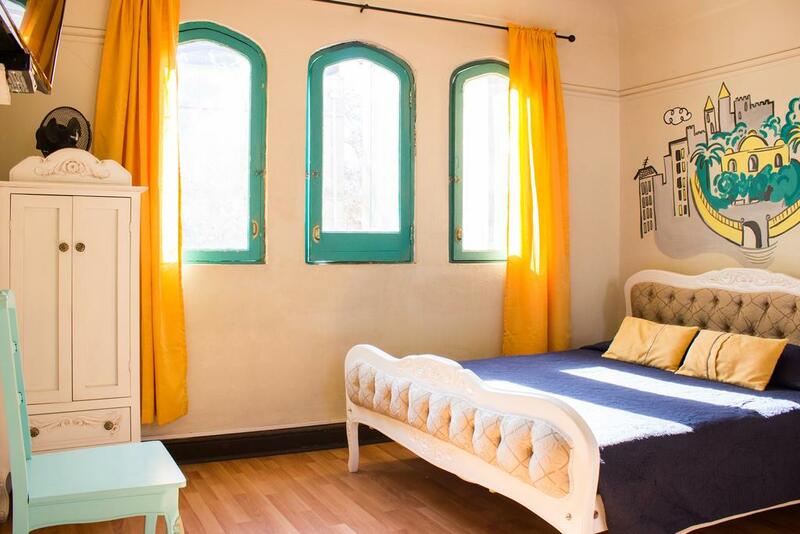 Located in a 20th century mansion, Happy House hostel lies right in the historic centre of the city and is one of the best hostels in Santiago for travelers on a budget. It’s located on Moneda street, and is just minutes away from Parliament house, the main plaza and some of Santiago’s top tourist attractions. You can’t get much more central than this! Happy House offers huge private and dorm rooms, with high ceilings which enhance the spaciousness and brightness of the rooms. Beds are large and super comfortable, and each guest has access to their own power outlet and locker to keep valuables safe and sound. 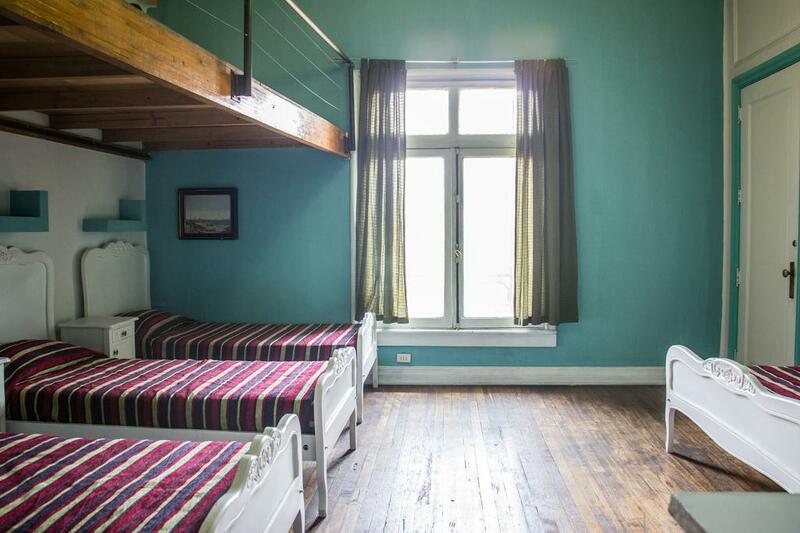 Rooms are decorated with wooden floors and country-style furniture, which gives the hostel the feel of being far from the middle of the city. The Santiago hostel’s fantastic facilities include a spa, a communal kitchen and an outdoor swimming pool where you can take a dip and cool down after wandering the city in the sun all day. A breakfast buffet is available where you can eat as much fresh fruit, toast and cereal as your heart desires! If you like a bit of comfort and luxury without breaking the bank then Happy House is the ideal accommodation choice for you! Located in the centre of Santiago, Plaza de Armas fantastic location, chilled out vibe and incredible views are some of the reasons why we think it’s one of the best hostels in Santiago. You can enjoy views of Plaza de Armas, the historical and cultural centre of Santiago. You can spend hours watching the constantly changing hub of people in the square below. 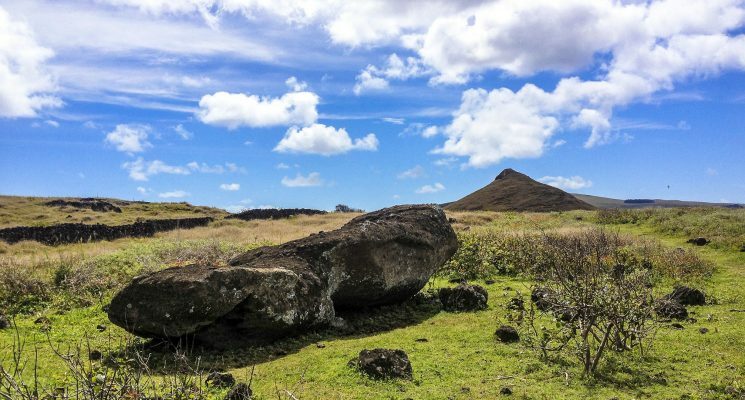 Guests of this hostel particularly rate the location, and it’s no wonder why! From this Santiago hostel you can easily reach the city’s most important spots and attractions. At night you can relax on the terrace and watch the city below come alive with revelry and music while indulging in the free “churrasco” and “coquetéis” that are offered all week. You can spend your downtime chilling out in the lobby, where you’ll find games, a TV and a cafe serving delicious treats and aromatic Chilean coffee. 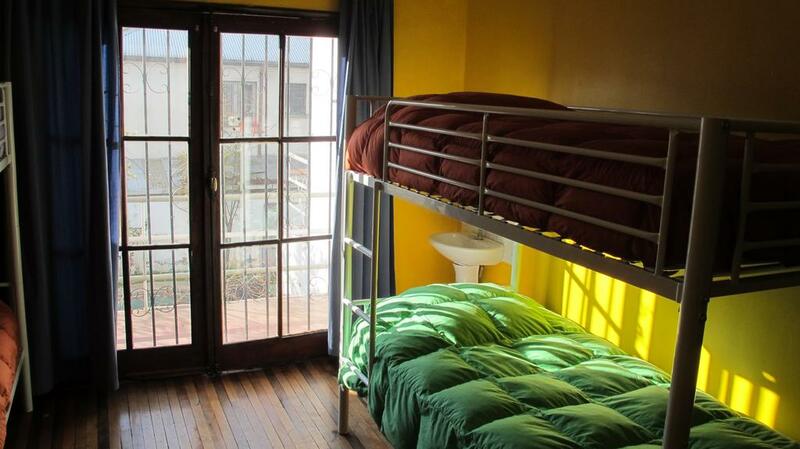 Plaza de Armas hostel offers comfortable private and dorm rooms. Rooms are colorful and bright, and provide you with all the necessary amenities for a comfortable sleep. You’ll have a locker and power outlet for charging your devices. Breakfast is included and offers boiled eggs, fruits, coffee and tea. Don’t hesitate to ask the staff for recommendations or to help you with anything you need to book or organize! 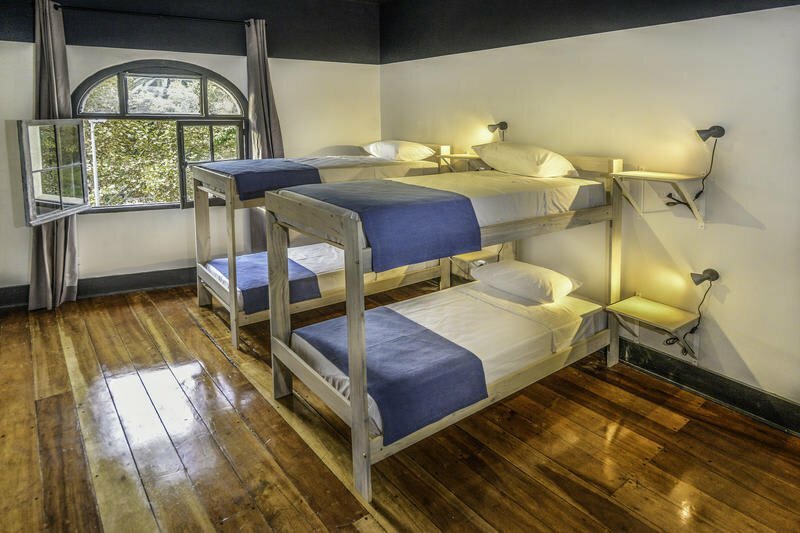 Ventana Sur is one of the best hostels in Santiago for backpackers seeking a laid back vibe where they can rest their weary feet before their next journey. Ventana Sur is the perfect mix between a social and quiet hostel. Located in Providencia, just next to Bustamante Park, this hostel is within walking distance to many of Santiago’s major attractions and liveliest neighborhoods. The area is safe and filled with plenty of bars, restaurants and supermarkets. You can choose from private rooms or dorm rooms of varying sizes, all fitted with comfortable beds, secure lockers and power outlets. Guests will receive a free breakfast spread in the morning including fresh bread, cereals, salami, cheese, and a variety of beverage options. Pretty standard stuff, but appreciated nonetheless. You can relax by the outdoor pool in the garden, or chill out on the terrace with a good book after a long day on your feet. The staff at this Santiago hostel are extremely hospitable and love sharing their advice on the incredible city they live in. The atmosphere is relaxed yet fun, and they encourage having dinner together and sharing experiences over a few glasses of wine. If you’re looking for a great atmosphere without being kept up until all hours of the morning then Ventana Sur is a great accommodation option for you. So there you have it guys, our guide to the best hostels in Santiago. We hope you have a blast exploring Chile’s capital! As always travel well and we’ll see you on the road!